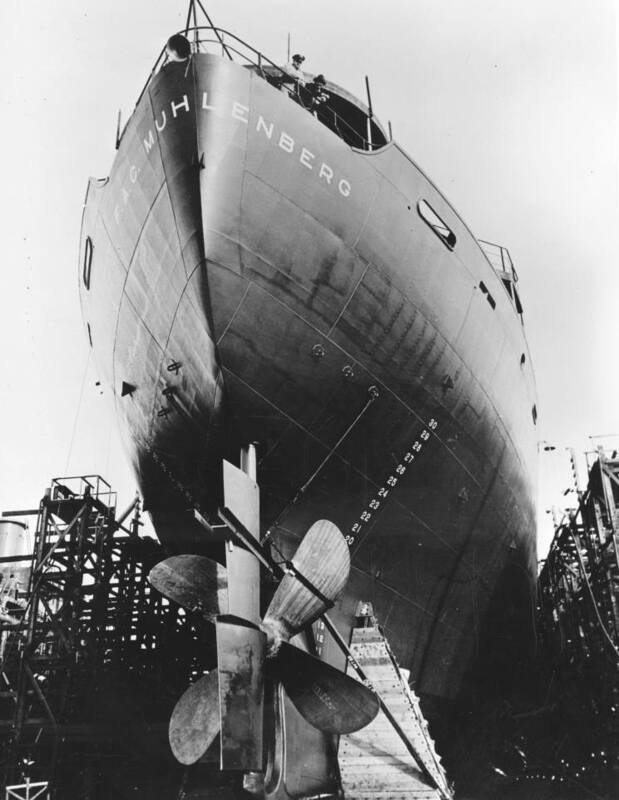 During Operation Shingle (the Allied landings at Anzio, Italy), a Liberty ship named F. A. C. Muhlenberg was at Napoli (Naples) about 100 miles away. The Germans put up a spirited defense and put up everything they could against the invaders. German aircraft played the largest roll against shipping and one made a hit on or near F. A. C. Muhlenberg on January 25, 1944. Fires started amidships which could have been disastrous if it had reached the cargo of ammunition and gasoline, but fortunately it did not. There was much damage, but her cargo was discharged and she was made ready for her return home. Tragically six of her crew and one of the Armed Guard crew had been killed. The ship was repaired in New York and after the war was sold to the French government and renamed Robert Espangne. She was sold twice more and later renamed Agapi. She ended her days aground off the coast of Bangladesh in 1966. A total loss she was towed to Osaka, Japan and scrapped. F. A. C. Muhlenberg seen on the stocks at California Shipbuilding Company.